Something about cold winter nights, that just a bowl of soup is comfort for the soul. Why does it feel like the best thing when a celebrity comments on your Instagram pic or likes or retweets something you posted? 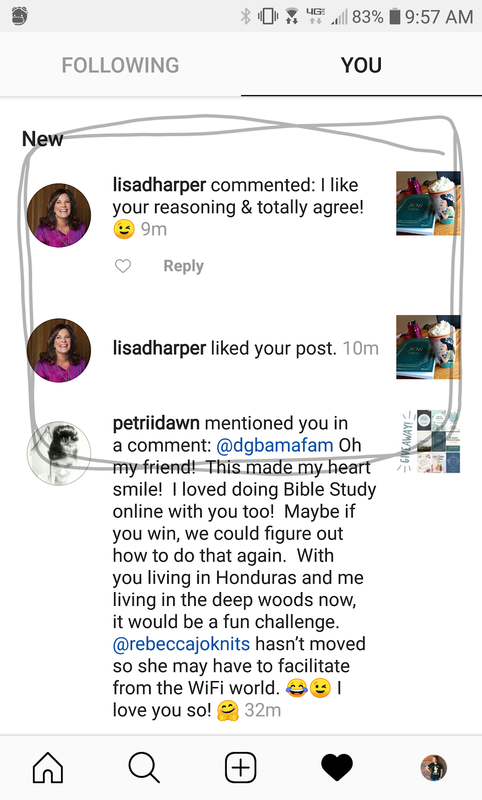 I dont know... but I'm pretty sure it means that me & Lisa Harper are now best friends. I'm kind of obsessed with these highlighters from The Daily Grace. They dont bleed through the page & are great in color on your bible pages. So when they had a warehouse sale - I ended up buying another set... & then went back for yet ANOTHER set. Cant have too many pens or markers or highlighters. Never. I was walking through The Home Depot, which is usually by force by the hubs because he wants me to come in & look at something. I typically stay in the car reading my Kindle when he's in there. But walking through one day, I saw a sign that said "DIH - Do It Herself" with class information on it. They were going to do a class on how to build a "Menu Board". So I checked with some friends & they were totally up for it. 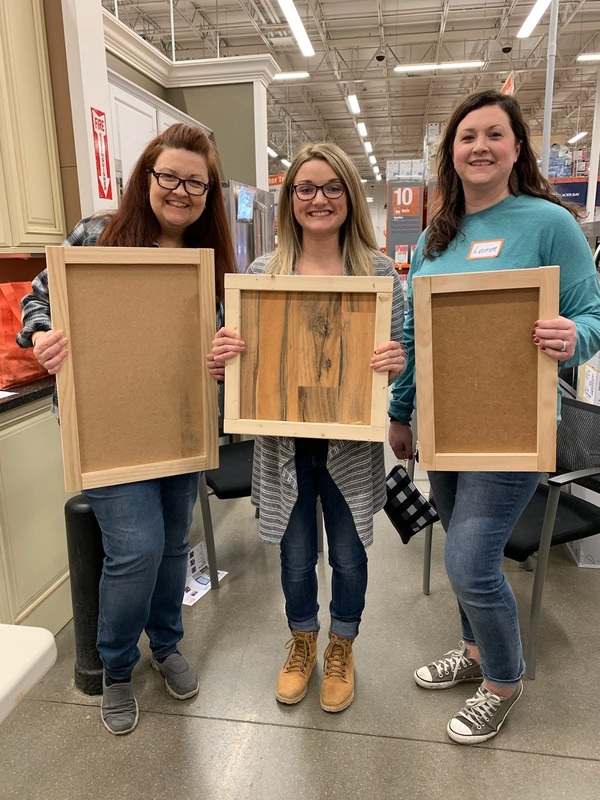 It was supposed to be made with a white board under it, but we all chose to do it where we can slap on some chalkboard paint & make it a personal chalkboard. 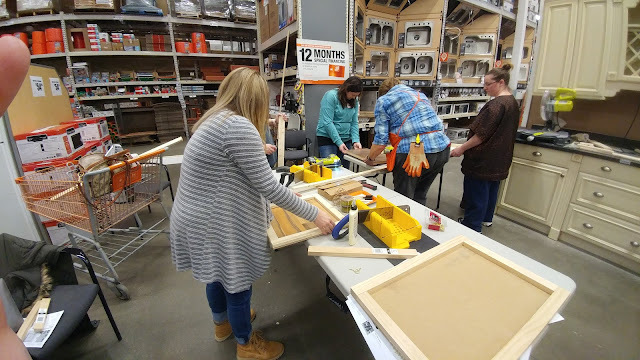 It was super fun to just spend time together.... & play with a nail gun - which I now told Ricky I want one for Valentine's Day - which may have made his entire year to hear me say those words. I think our office had some division in it .... a lot caused by gossip & rumors. But I think a lot of it was cleared up & a new beginning has begun & it was just nice to see everyone go out to lunch together & talk & laugh with one another. It really is like a breath of fresh air has happened. & it's just so nice to work in a place that doesnt have that sort of tension in it any longer. 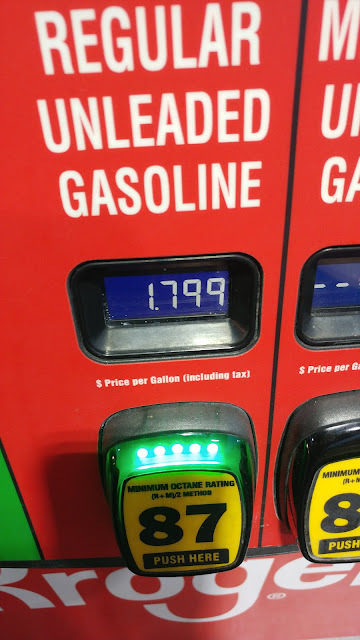 I mention this one all the time... but when I can fill up a totally empty tank for $30.00 - I'll always be thankful for it. I love days when I never have to get out of my sweatpants & putting on a bra is an option. 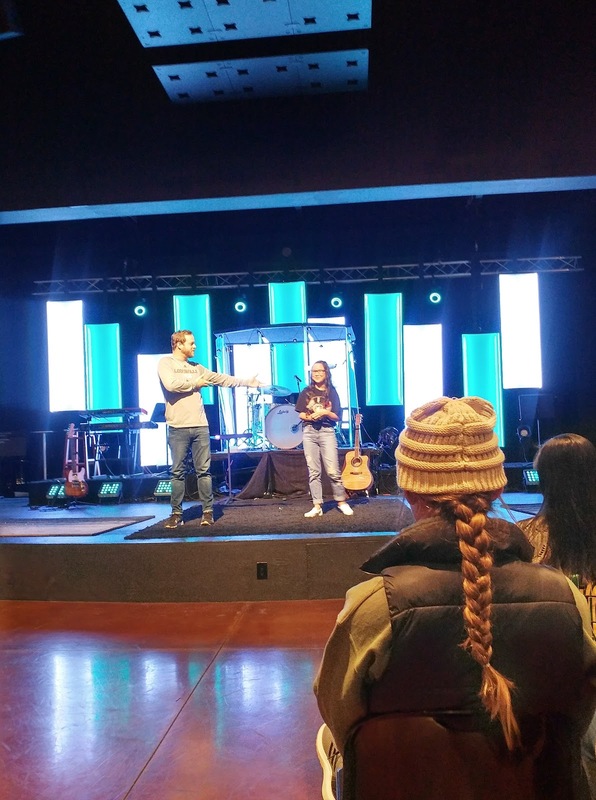 I was so proud when one of our HSM girls got up on the stage in & read some scripture & started off the message with a prayer. That's never easy, no matter your age - but especially when you're standing in front of a bunch of your high school peers. But she nailed it. My girls are just awesome. It had snowed Sunday morning & a lot of churches had canceled. 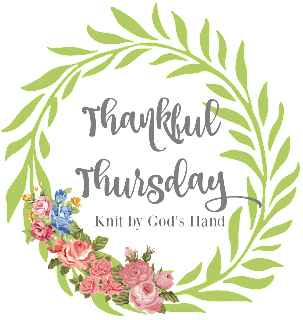 I had made it to our church & afterwards, I went to Michael's to pick up some chalkboard paint.. & of course, more yarn, because why not?.... & it was so nice because usually everything after church is packed. Super crowded. But this Sunday, the snow must have kept a lot of people home because NO ONE was out. I literally had front row parking & no line in Michael's. I even went to pick up Ricky some lunch & drove straight through the drive thru where there's typically a 10 minute wait.